As our earthly possessions are being loaded up today to eventually land in Perth I have been thinking about an old song. Thinking of not seeing our family furniture, heirlooms, and art for a few months can send you into an interesting place. The first thing Shannon and I usually do when we move into a new place is put all of our art, much of it created by Indianapolis artist that we love dearly, up on the wall. This turns our new place into our home. This move will make us wait. We will move into a new place, in a new city and country, and stare at blank walls for a bit. This will be hard. Again I am reminded of the verse in Hebrews. This lack of art is not a permanent existence. It is temporary. Much like our lives here and our momentary troubles. But even as I type those words I am aware of many who are in the midst of troubles and strife that do not seem temporary. They are overwhelmed with the thought that it is permanent. And it can seem that way. There is only one place to look. God continues, by His grace, to reveal His unseen in the seen. His bride, the church, provides the visible, tangible, physical presence that provide for us a glimpse of His glory. We can, through the Spirit’s power, endure. It is not easy but it can be light in the truth of His Glory. 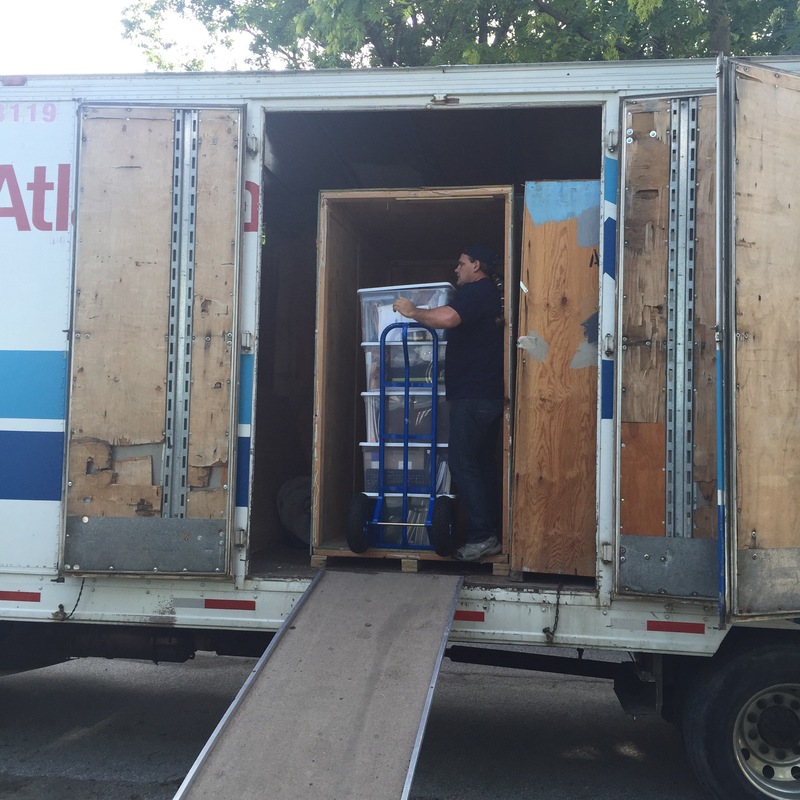 We are three and half months from when those earthly belongings were loaded on to the truck. Have they arrived? Have the special art pieces found a home on a wall or place in our home? I remember when our container arrived – three months after we packed it up… there was a mixture of aaaahhhh, now I feel like this place I lay my head is a home… and what the heck was I thinking??? Bringing this all the way across a continent and ocean? We love you ALL – great thoughts in this post above!